The CIBOJ attained ISO 9001:2008 certification, and has utilized the standard to emphasize a systems approach to management, continual improvement and a mutually beneficial supplier relationship. 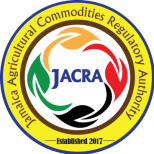 The Coffee Division of JACRA is ISO 9000:2015 certified. On January 1, 2018, the functions of the CIBOJ were taken over by the newly formed Jamaica Agricultural Regulatory Authority (JACRA), which is responsible for the regulation, promotion, standardization and development of the agricultural commodities industry.